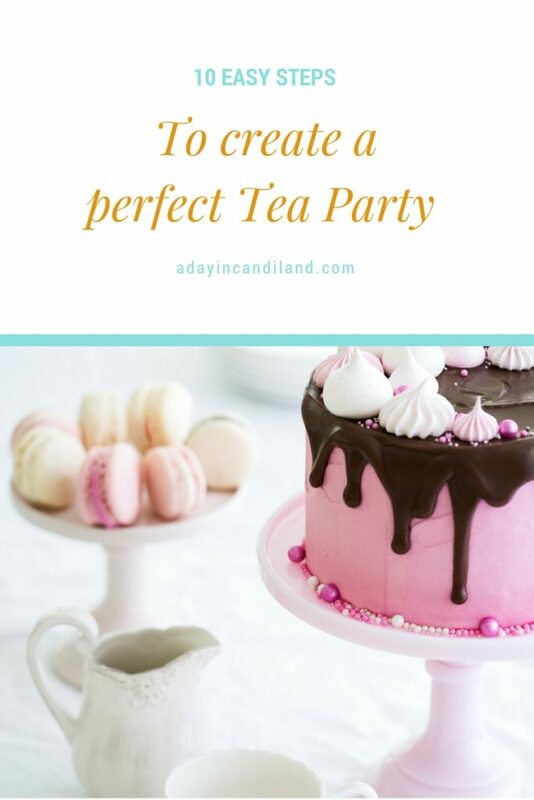 11 Easy Steps to Host a Tea Party for Adults will have you prepared to celebrate your next Afternoon Tea event or occasion. I have put together so many Tea Parties as it used to be my primary business. Now I just share with others how you can have your own Tea Party for your friends. I don’t know what it is about having a Tea Party, but it gets me so excited just thinking about it. Maybe it’s the idea of having friends together, or maybe it’s about the food or the tea, but whatever reason you are having a party, it is sure to be a success. Follow up with all my Afternoon Tea Ideas and Tips page. You don’t even need a reason to throw a Tea Party, you can just plan a date and a theme and make some tea and a few desserts or sandwiches and you’re done! Not really there is a little bit more to it, but it is pretty easy. I will show you how below. Set a Date – Make sure you give it a few weeks so your friends can make it. Get out your china – It doesn’t have to match, I love a mismatched china tea table. 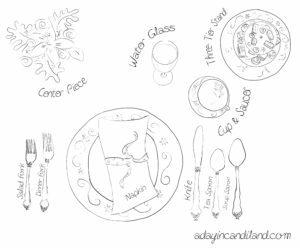 Do you need a place setting chart? See one below. Get some Herbal Green Tea and a teapot. Here is a tip to help you learn how to make a great pot of tea. Candles. They are always fun at a party, you can even go scentless. Get out your favorite hats and place some great Tea Books around. Hopefully, you got an RSVP from everyone, they wouldn’t want to miss it and you need to know just how much food to make. 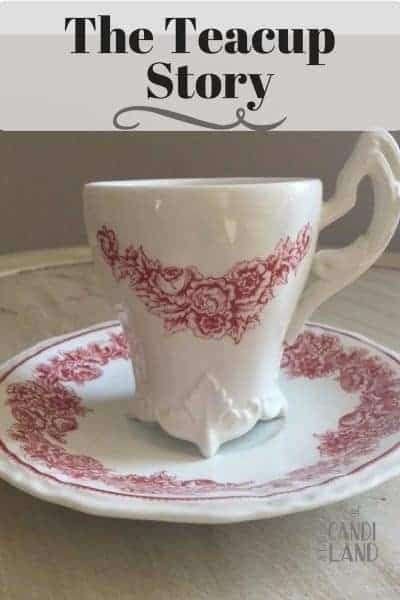 Be a great hostess, tell a cute teacup story or the history of tea, and this is the best part, pouring tea for your friends and having great conversation. The best thing about having a tea party or afternoon tea is just the fellowship and encouragement you can get during this time. You can have a successful Tea with 1 or 20 friends. 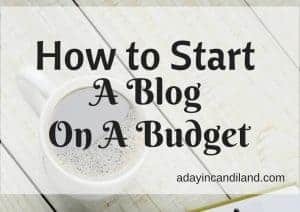 You can even make it a monthly event and change up the theme and food each time. I hope you plan an Adult Afternoon tea party soon and use these tips and table setting to help make it easier. Please pin this to one of your boards so it’s easy to find in the future. You can also follow me on Instagram or Facebook. Thanks for stopping by A Day in Candiland. Hope you visit again soon. Thanks for the tips on setting up a tea party. I really want to hold one of these with my girl friends and my daughters friends. I can't wait for spring to get to planning one. I'd love to do one in the winter for my daughter and her friends. I think the 2nd graders would enjoy dressing up and eating off of fancy china! I love the table setting image! 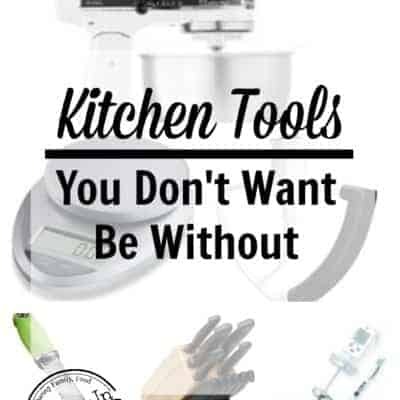 It's a great cheat sheet to have on hand. THanks for sharing! I created it, it was going to be my freebie, but it never worked out that way. I love these tips on how to have a proper tea party! Thanks so much, my girls will love to do this and invite their friends! Great advice! I love mismatched china too. Whenever I think about place settings I always think of that scene from Pretty Woman! When my daughter is old enough I think we'll throw her a tea party – right now she's too busy pouring imaginary cups of tea from her plastic tea set. I do like to have candles at my parties! Thanks for these ideas. My sis and i went to tea parties when Dad was stationed as an airman in England 1950’s. We get Yorkshire tea mailed from the UK. And make in the Brown Betty teapot.